Moving on to Level 1! CONGRATS ON FINISHING THE INTRO COURSE! Congrats! You’ve completed our 4-week introductory course. We really hope you enjoyed learning with us as much as we enjoyed teaching you all. Wow I really feel good about what I’ve learned! What’s the next step? So you’ve completed the intro course and you feel ready to move on? The next step in your zouk journey is the Foundations Level 1! At this point in time is when we would like to let you know that we are a dance school first and foremost and that the Foundations Program that we offer is comprehensive. The full program is three levels deep. It takes about 4 months to complete Level 1 (though it can be faster if you take more than one module per month), 4 months to complete Level 2, and 8 months to complete Level 3. For people who love structured learning, our school is a reliable and systematic way of learning to dance partner dance. Zouk is wonderful for learning skills of coordination and balance. Dance generally is a great way to become comfortable with the movement and use of one’s body. Because zouk is a social dance, the social and cultural component of our dance incorporates the ideas of connecting with other people and music. Our time spent with our students is beyond classes, we go out together, party together, travel together and many of our students have build strong and lasting friendships over the years. Zouk is also a very sensual dance. For people who love connecting on that level our dance provides an outlet for sensual expression. Life is so busy these days, will I be able to still take your program with a full schedule? My life is too busy to take on something new right now (i.e. I’m getting married, new condo and job and car, etc.) what can I do? No worries! 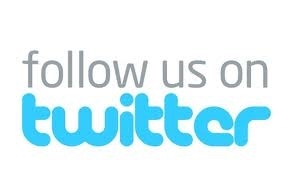 If you want to be a part of our community just follow us online. You are always welcome to come out to our socials on Tuesday from 9:15 - 11:30PM, practices or any parties that we have at the studio. People will be glad to dance with you! When you are ready to learn with us again just let us know! Will I be ready for the Foundations Level 1 class? If you found the Intro course material easy for you, then you will do fine in the Level 1 class. If it was a bit challenging, then we suggest you repeat the Intro course again. You are welcome to take both the Intro and Level 1 class simultaneously if you are uncertain also! If you need guidance, ask your instructor and he/she would be glad to help. To register, you would need to choose one of the timeslots indicated in the 2016 Session Schedule (Wednesday and/or Thursday at 8PM). Every month we run a “module” in each timeslot. Each module focuses on developing a routine with a focus on a specific type of zouk movement (i.e. the Thread) and runs for four weeks; each class is 1 hour long. Once you have registered for a timeslot, you don’t need to switch anymore from that slot until you move to the next level. If you would like to change timeslots, please let us know and we will try to accommodate you as it is subject to availability. Once you have chosen the timeslot(s) you’d like to attend, please fill out our form at www.mazouka.com/registration or call us at (647) 773-3887 to register. What’s the difference between the Membership types? If you are just starting out, the Basic or Full Memberships are a good choice as they give you one or two group classes every week respectively. Once you decide to take your zouk to the next level, then we’d suggest signing up for a Private membership so that you can do a weekly one-on-one with your teacher. What is the “Level 1 deal”? If you sign up for three months upfront, you will receive a private class ($70+hst value) that you can use towards helping you to ease into Level 1. Where does the money from the Memberships go? When will I be billed and are there refunds? Membership fees go to keeping our beautiful studio running. We really appreciate your patronage! You will be billed at the beginning (1st) of every month. Note that we do not offer refunds as we are virtually a not-for-profit business, so please let us know before the 1st of the month if you’d like to cancel your membership. If you want to keep your membership running as an ongoing donation to our studio we will put you on our website in our Mazouka Patron’s Circle! If you are looking to take a break from the program please fill out our form at www.mazouka.com/vacation. We will pause your membership. We have options to also help you keep up your zouk so you are prepared when you rejoin classes again. I’d like to take a break… indefinitely. How do I go about doing that? If you’d like to end early, we understand that sometimes our encounters in life are short and sweet. We hope that your learning experience with us was transformative- our doors are always open to you. Mazouka is more than just a dance school so even though you are no longer in our classes you are still a part of our community, please feel free to attend our free practices, Tuesday social and community events! If you notify us before the class, we will apply a $15 credit to your membership that you can apply to a Private Class that can be taken within that month! This is a wonderful option as catches you up in your group class and will help you to focus on developing excellent form. I’m registered for Thursday’s class, can I do a make-up class on Wednesday? We are honoured to have you learn with us. Please know that we take your journey of learning seriously and look forward to dancing through it with you! We want you to get good fast. The better you get, the more crazy fun zouk becomes. When would be the best time to be taking private classes? We feel the best time to take a private class whenever you need to miss a group class. This will keep you in top form! However, if you are looking to move through our program quickly, then we recommend you switch to our private class (Premium) membership. We post music to practice to and listen to online at www.mazouka.com/music! When / where do I practice & dance? We have a free student practice at the studio presently Thursdays from 9:00 - 11:00PM (subject to time changes). We also have a $5 Tuesday night social (“Zouk Me Tuesdays”) every Tuesday from 9:15 - 11:30PM. Add yourself to our Facebook group to get Facebook invites (https://www.facebook.com/groups/162929967114127/). Monthly events! We have lots of them. We will send out invitations via e-mail and Facebook. What’s the difference between social dancing and practicing? When practicing, we suggest you practice both alone and with a partner on the routines and exercises you learn in class. Practice getting the routines down pat. Social dancing on the other hand is focused more on being present with your partner. We suggest that you allow yourself to feel through the movements & music and to focus on enjoying the dance with your partner. What will we be learning in Level 1? We have our Course Material posted online at www.mazouka.com/course-material/level1 for those of you who want to get a head start!